Bio | Lisa Kantor Sings! 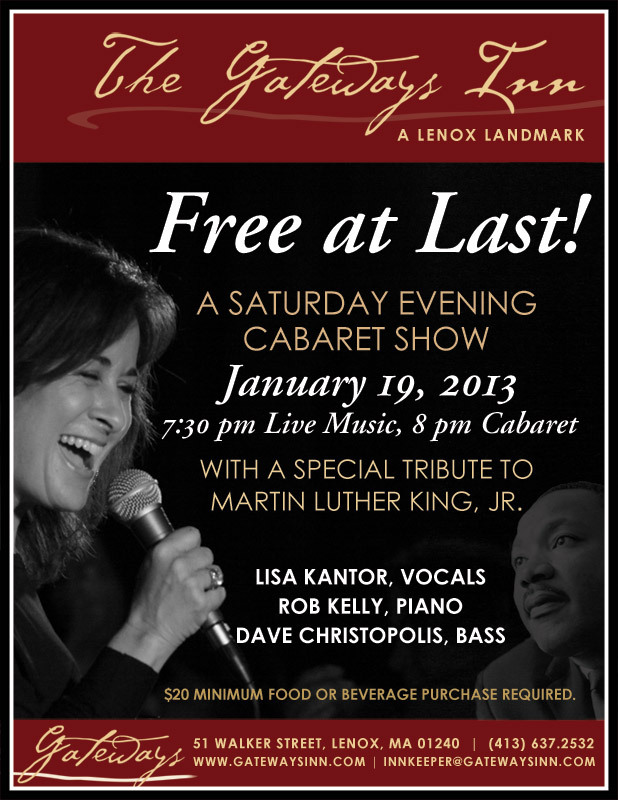 Lisa has been performing solo cabaret-style shows for several years. She describes the experience of singing and performing as a “portal to pure joy!” Originally known as “Elle Kay Cabaret,” Lisa has trained with award-winning cabaret artists, musicians and Directors from New York City, Boston, and the Berkshires. Lisa is passionate about the ever-unfolding process of learning and growing that has fueled her creative pursuit. She believes that music can be a powerful vehicle for the expression of the human experience. Lisa has performed in a variety of venues, including The Theater Barn (New Lebanon, NY), The New Stage Performing Arts Center, the Bernstein Theatre at Shakespeare and Company, Upstairs at Spice Restaurant, Rouge Restaurant, Firefly Restaurant, The Gateways Inn, Amazing Things Performing Arts Center and Ryles Jazz Club (Cambridge, MA). She also performs at private functions, house parties, and fundraisers. Her mentors include outstanding performers such as Lina Koutrakos, Lennie Watts, Sherri James Buxton, Wanda Houston, Rebecca Parris, Marilyn Maye, Andrea Marcovicci, Amanda McBroom, Michele Brourman and Erv Raible among others. Lisa is a professional member of BACA (Boston Association of Cabaret Artists) and MAC (Manhattan Association for Cabarets and Clubs). In addition to her deep passion for musical performance, Lisa has also performed improvisational theatre and written poetry. She is a clinical psychologist in Private Practice in both the Boston area and the Berkshires, as well as a multi-tasking mother. She enjoys surmounting obstacles, grabbing life by the horns, and sharing the ride!